Acer TravelMate P645 is a new laptop model from a popular brand Acer. 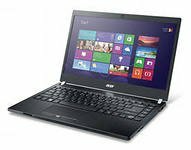 The main motto of a laptop is its portability, because it has a diagonal screen size is only 14 inches. And the weight is very small, and that is 1.5 kilograms. Due to this, it's easily possible to take with itself in the way, and he will not strain you. Built laptop powered by the Intel Core i5 processor, with a frequency 1600 MHz. Memory of the laptop is 6 GB type DDR3L. A good built-in graphics that will draw many modern games. Hybrid hard drives, with a total volume HDD+SSD Cache 520 GB, allows to keep high speed data transfer. The only negative, this notebook is the lack of an optical drive.